DraftKings And Caesars Join Forces, But What Does That Mean For New Jersey? DraftKings and Caesars have announced a multi-state agreement to expand the companies’ reach outside NJ online gambling and sports betting. Monday’s big sports betting news, believe it or not, was not Oscars betting in New Jersey. DraftKings and Caesars Entertainment stole the spotlight by announcing a multi-state agreement. According to the press release, Caesars will offer DraftKings market access for its online gaming products. The deal is exclusive to Caesars across certain states in which the company operates casino properties. DraftKings, in turn, will promote Caesars Entertainment as its official casino resort partner while Caesars will receive DraftKings equity. The agreement is subject to the passage of applicable laws and the parties securing gaming licenses in those states. Mark Frissora, president and CEO of Caesars Entertainment, elaborated on what the deal means for both companies. “Caesars’ agreement with DraftKings, their first multi-state partnership, brings together the established leaders in gaming, daily fantasy sports and sports betting to provide customers more options. DraftKings Sportsbook made NJ sports betting history on Aug. 6 by becoming the first to the mobile market, beating PlayMGM Sports by 16 days. This was after it had sealed a partnership with Resorts to gain access into the burgeoning NJ online gambling market. Since its launch, DraftKings has consistently led the way in mobile sports betting revenue. In January, online sports betting accounted for nearly 80 percent of the total sports betting revenue. Meanwhile, the 5,000-square-foot DraftKings Sportsbook at Resorts Atlantic City opened on Nov. 20. It draws standing-room-only crowds for big events, including Super Bowl Sunday. While neither company is sharing specifics of how the deal will impact the Atlantic City casino market, the deal paves the way for new and exciting opportunities for both DraftKings’ sports betting app and the expanding DraftKings online casino. A bit more color here: DK, w/ CZR, gets a pretty nice market-access boost. Pre-CZR, DK was at 3 states / ~10% of U.S. population. Post-CZR, DK is at 12 states / ~23% of the U.S. population. FD, for context, is at 15 states / ~36% of the U.S. population. “Partnering with such a world class gaming organization will expedite our national roll-out process and give us the opportunity to work alongside one of the largest and most established industry leaders in the world. But now that DraftKings has a multi-state agreement in place with Caesars Entertainment, how will it impact the current partnership with Resorts? While neither company is talking about parting ways, we have seen it happen in the first year of legal NJ sports betting. 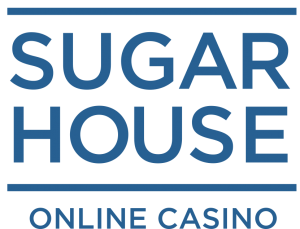 The SugarHouse Sportsbook app originally launched under the Golden Nugget license on Aug. 23 but jumped ship to Monmouth Park in the fall. The move allows the company to offer NBA betting. Golden Nugget and its partners are not permitted to offer NBA betting as a result of Tilman Fertitta owning both the Golden Nugget and the NBA’s Houston Rockets. It has also happened in the NJ online casino market, albeit for different reasons. Betfair originally launched under Trump Taj Mahal’s license, but when that casino closed its doors, Betfair found a permanent home with Golden Nugget. If you look at the three Caesars-owned properties in Atlantic City, sports betting is more of a work in progress. Caesars Atlantic City does not have its own sportsbook, and likely won’t. But it does offer online sports betting via the Caesars Sportsbook app powered by Scientific Games. 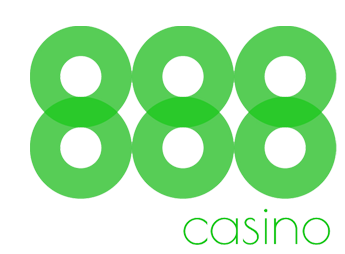 888 Sport also operates under the Caesars license. Bally’s and Harrah’s both have temporary retail sportsbooks at their respective properties and have been open since the summer. Once Tropicana and Hard Rock Atlantic City open their permanent spaces, they will be the only two AC casinos without complete sportsbooks. Under the deal, according to the release, Caesars can continue to offer self-branded sports betting and online casino apps in each of these jurisdictions. In addition, the company will maintain its own primary access in all states according to regulation under the agreement. But from a Caesars/DraftKings standpoint, this deal opens the door to new revenue streams. Tie-up of Caesars and DraftKings solves* THE big pain point for DK and also provides Caesars with another way to win in what will be crowded, competitive markets. As long as legislatures in the market allow for additional online brands a la New Jersey, DraftKings Sportsbook will have an opening into the wider world of legal US sports betting. And Caesars will have found a way to expand its reach, too. The 91st Academy Awards is just a few days away, but Oscars betting is still available and you can get $10 free with Caesars Sportsbook bonus code. Yes, you can bet on the outcome of the 2019 Academy Awards in New Jersey, and you can even place a bet for free. 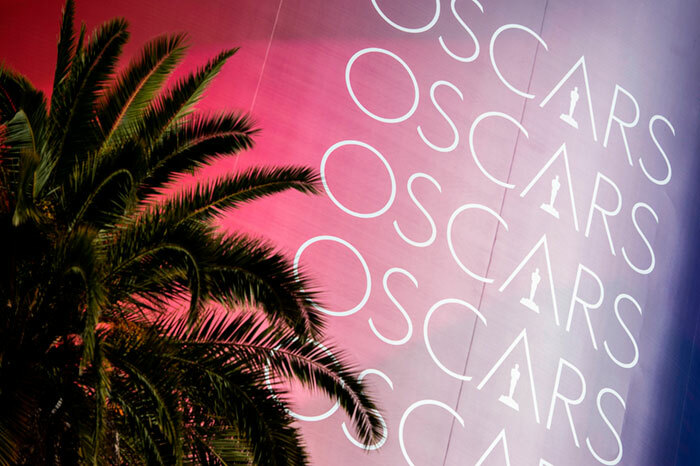 Caesars Sportsbook has posted six Oscars betting lines ahead of the 91st Academy Awards ceremony. The big night happens this weekend on Sunday, Feb. 24. Plus, anyone older than 21 and inside New Jersey who signs up for a new account with Caesars Casino & Sports will immediately get a free $10 bet they can use to wager on the Oscars. Plus, Caesars Casino & Sports has a seventh option that allows you to bet a parlay consisting of the three Best Picture, Best Actor and Best Actress favorites. Basically, you can bet Roma (Best Picture), Rami Malek (Best Actor) and Glenn Close (Best Actress) all to win Oscars at +100. Of course, the first thing you need to do to bet on the Oscars is to sign up for an account with Caesars Sportsbook. Visit Caesars Casino & Sports. Hit the “Play Now” button. Choose your login details and hit NEXT. Check the boxes accepting the terms and conditions, certifying that all information is correct and you are not prohibited from betting, acknowledging that it is prohibited to allow someone else to use access your account and choose if you want to receive promotional offers. As long as you entered the Caesars Sportsbook’s bonus code BETFREE10 you’ll receive a free $10 bet you can use to bet on the Oscars. Betting on the Oscars at Caesars Casino & Sports is a simple process. The nominees in each available category have moneyline odds posted on whether they will win the award. Just browse through each category and start picking winners. If you’re right, Caesars NJ gambling site will pay off the wager at the odds posted at the time you placed the bet. This means you’ll need to bet $320 on Roma to win $100 plus your bet back. It also means a $100 bet on The Green Book will get you $400 plus your bet back if it wins. Plus, you can bet a long shot like Vice with your $10 free bet and you’ll get $1,010 back if it manages the big upset at the Oscars this year. Betting on the Oscars at Caesars Sportsbook is that easy — really. But remember, you’ve only got a few days left to do it ahead of the Feb. 24 Oscars ceremony beginning at 8 pm EST. Keep checking the Oscars odds on Caesars NJ sports betting app over the next few days to see if anything changes at the last minute. Plus, seek out inside information before you make your picks, like what films have already taken home various guild awards this year. These are almost always great predictors as to who will win an Academy Award. Finally, don’t forget there are upsets at the Oscars every year. That means you can bet a long shot at Caesars’ online app and turn your $10 free bet into something really substantial if you correctly predict the Cinderella story coming out of the 2019 Acadamy Awards. Place a $10 bet on Vice, and you’ll win $1,010 if it manages to win Best Picture. Put $10 down on Viggo Mortensen or Willem Dafoe, and you’ll get $410 back if the one you bet on wins Best Actor. Place a $10 bet on Melissa McCarthy or Yalitza Aparicio, and you’ll win $510 if the one you bet on wins Best Actress. Put $10 down on Cold War director Paweł Pawlikowski, and you’ll earn $510 if he takes home the Oscar for Best Director. Make a $10 bet on Sam Rockwell, and you’ll earn $510 if he wins Best Supporting Actor. Put $10 on Marina de Tavira, and you’ll win $260 if she wins the Academy Award for Best Supporting Actress. 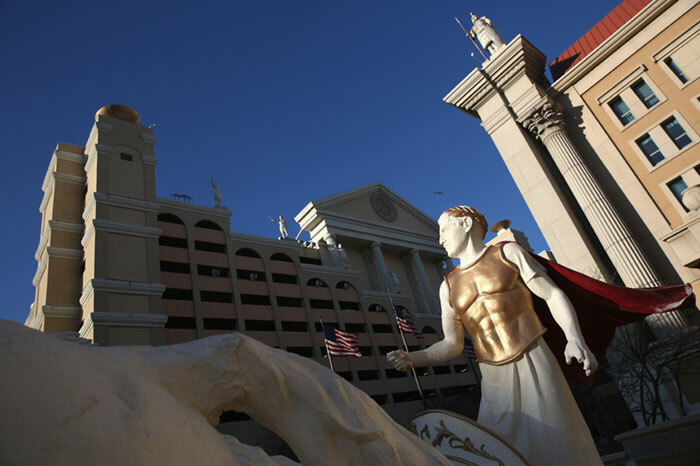 A public records request sheds some light on exactly what unfolded behind the scenes at Caesars when it accepted illegal bets at its NJ sportsbooks. Sports betting in New Jersey is not exactly off to a smooth start for Caesars Entertainment and its Atlantic City casinos. Documents acquired via a public records request shed some light on exactly what unfolded behind the scenes at Caesars and the illegal sports bets it accepted in September. NJ Deputy Attorney General Jennifer K. Russo-Belles sent a letter to Caesars Entertainment dated Nov. 20, 2018. It reveals details behind last month’s $2,000 fine handed out by the New Jersey Division of Gaming Enforcement. According to the letter, the Sept. 10, 2018, football game between Rutgers and Kansas triggered the illegal sports betting alarms. The DGE interviewed Vicki Guveiyian, Caesars Interactive Entertainment’s (CIE) director of gaming technology and innovation, on Sept. 18. “While CIE’s Las Vegas Trading Team noticed the game had been incorrectly loaded and removed it from availability within an hour of its posting; CIE’s New Jersey Trading Team did not. The patron who placed the $10 wager was refunded the wager amount and credited an additional $10 as a “goodwill gesture,” according to the document. But another incident followed eight days later. Caesars offered wagering on the Monmouth-Princeton football game on its SG OpenBet Platform, aka the Caesars Sportsbook app. Within that one game were two separate prohibited events: The game involved two New Jersey colleges and it was played inside New Jersey. The wager window was open for 90 minutes before it was disabled. But in this instance, Caesars did not accept any wagers, according to the report. Additionally, Guveiyian notified the DGE. For the most part, despite a few hiccups, it’s smooth sailing with sports betting in New Jersey. This includes NJ online gambling sites such as DraftKings Sportsbook. While FanDuel Sportsbook had a few growing pains in the early days of its sportsbook, the overall feeling is that things are working as they should. To date, seven out of the nine Atlantic City casinos have operational retail sportsbooks. Caesars is one of the two properties without one (Hard Rock Atlantic City, for now, is the other). Caesars customers use the sportsbook at the connected Bally’s Wild Wild West casino, its sister property. Meanwhile, Caesars also accepts bets at its sportsbook app. And it has an online partnership with 888 Sport NJ, too. The bigger picture is that to date, only one other casino has been hit with a NJ sports betting fine. Golden Nugget was the other. Golden Nugget was slapped with a $390 fine. For an immense selection of sports and a wide variety of banking options, head to Caesars online casino and sportsbook in New Jersey. Signup with bonus code BETFREE10 and get a $10 Free Sportsbet! Caesars also has a generous bonus offer of up to $300 for new players that make a first deposit. Caesars sports betting continues under the watchful eye of the DGE. No additional penalties or fines outside of the two incidents have come to light. But at the same time, additional compliance measures are now in place. And at this point, there is no room for error. The DGE is watching. Caesars Entertainment and the NFL ink a deal that makes Caesars the first-ever official casino sponsor of the NFL, but not sports betting. The last domino has fallen. The NFL on Thursday announced its “first ever official casino sponsor,” handing out the honor to Caesars Entertainment. While legalized sports betting is rapidly growing across the country, the professional football league becomes the last of the four major sports leagues in the United States to bring on an “official” sponsor. “We couldn’t be more excited to work with one of the world’s largest gaming and entertainment companies,” Renie Anderson, senior vice president of NFL Partnerships, Sponsorship and Consumer Products, said in the release. 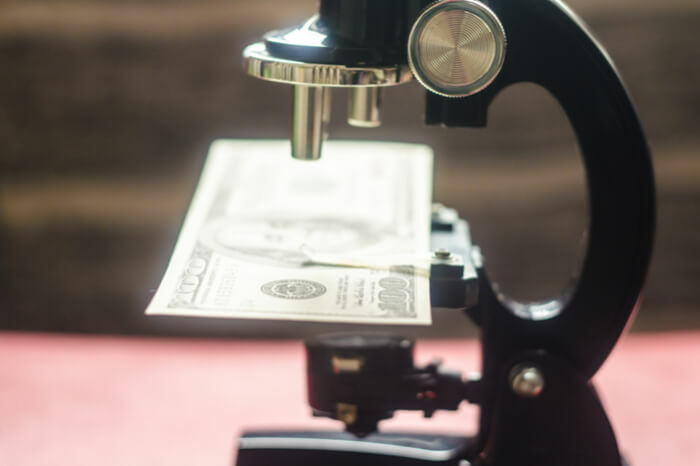 The financial terms of the multiyear partnership, which begins with the 2019 NFL playoffs, were not disclosed. As noted above, the partnership applies only to “casino” gaming and does not include sports betting. 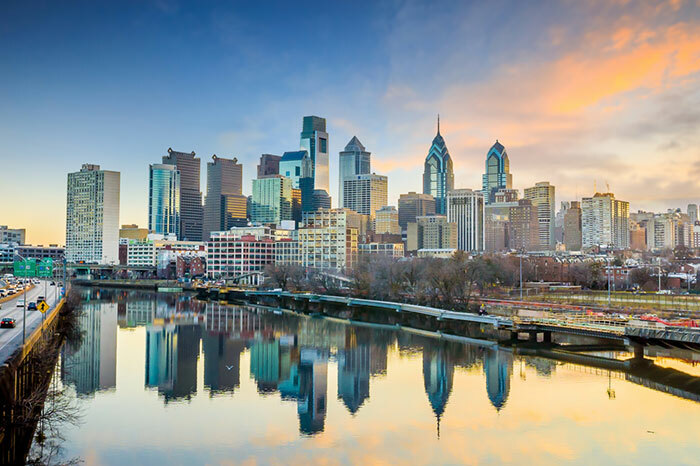 Such a clause comes at an interesting time, considering the expansion of regulated wagering as well as Caesars’ sports betting footprint, which includes brick-and-mortar and online sports betting in New Jersey. Regardless of the casino-only approach, the NFL’s ties with Caesars now offers the league a way into the sports betting industry should it decide to do so. Such deals already exist with the other three major leagues: NBA, NHL, and MLB. And all have MGM Resorts International as the “official gaming partner” of the leagues. What’s included in the partnership? For its part, Caesars has operations in 13 states, including several with legalized sports betting activated (New Jersey, Mississippi, Pennsylvania) or with regulated wagering on the horizon. Caesars Entertainment has already begun establishing itself as a known NFL entity. As for the NFL, this partnership brings the league closer than it’s ever been to sports betting and gambling. While the league ensured that the deal only pertains to the casino, the NFL still joins forces with a gambling giant with roots deep in regulated sports betting. Consider, too, the Raiders’ relocation to Las Vegas the same year in which Sin City hosts the 2020 NFL Draft. Who knows, really, how long the league keeps sports betting at arm’s length? Perhaps soon Caesars will add the “official sports betting partner of the NFL” jewel to its crown down the road. Two Atlantic City Casinos took bets on New Jersey college football games, which are illegal under NJ sports betting law, and were fined accordingly. 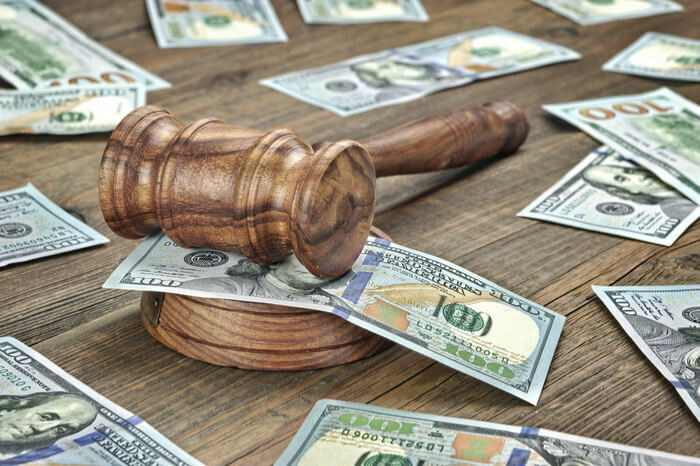 The New Jersey Division of Gaming Enforcement (DGE) has fined two Atlantic City casinos for accepting illegal sports betting wagers. 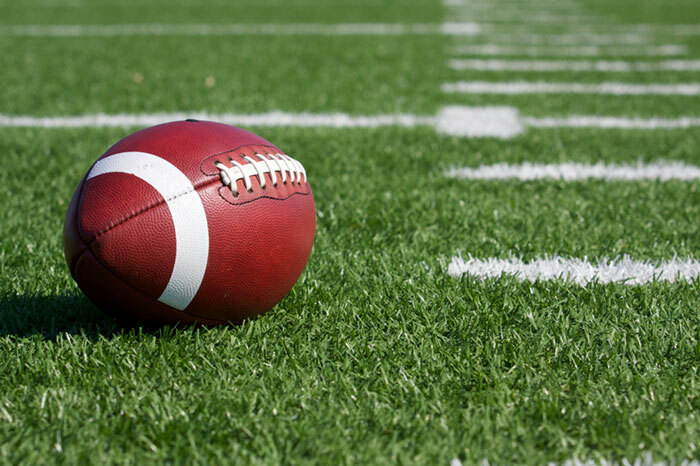 According to records released by the DGE, Caesars Entertainment and Golden Nugget were both caught in September taking bets related to New Jersey college football games. The DGE complaints were filed in November and fines were levied in December. The two cases are the first known fines related to illegal wagers handed out by the DGE since NJ sports betting went live in June. On Sept. 10, 2018, Caesars accepted illegal wagers on a Rutgers Scarlett Knights college football game versus the Kansas Jayhawks. According to the DGE report, Caesars was fined $2,000 on Dec. 15 after acknowledging the error to regulatory officials. As such, Golden Nugget was fined the amount of $390 in gaming winnings owed to those 10 unknown individuals. When New Jersey passed its sports betting legislation in June, it prohibited sportsbooks from accepting wagers on college sporting events involving Garden State-based colleges such as Rutgers, Princeton and Seton Hall universities. It also excluded any college games played inside New Jersey. In the case of Caesars’ fine, the illegal sports bets were placed specifically on a Rutgers game, likely the Sept. 15 game in Kansas. Of course, Caesars AC has no retail sportsbook on the property. So the illegal wagers probably happened at Bally’s or Harrah’s. Since Golden Nugget and Caesars both have sportsbooks based in Las Vegas, it’s also entirely possible that the data feed incorrectly added the New Jersey college games. And unfortunately, it was not caught before the bets were placed. Both Bally’s and Harrah’s opened temporary sportsbooks in the summer with permanent facilities in the works. Caesars customers also can use the Caesars sportsbook app or web browser. Golden Nugget opened its temporary retail sportsbook on Aug. 15 and replaced it with a permanent space on Aug. 31. The property currently does not offer online sports betting, but Golden Nugget does have a partnership in place with SBTech and an NJ sportsbook app is likely to happen in the future. NJ sports betting is only a few months old, and it has had its share of hiccups despite a robust start to the industry. Sports betting accounted for $330 million in handle in November and now counts nine retail and nine online sportsbooks in its arsenal. But NJ regulators are taking nothing for granted. As such, fines or punishments would escalate if similar problems occurred in the future at Golden Nugget and Caesars. Casinos themselves would need to have firmer controls and systems in place to prevent such instances from occurring again. Dustin Gouker contributed to this reporting.